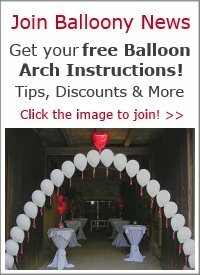 Why would we feature balloon decorators on a DIY balloon decoration site? Good question. The answer is simple: popular demand. 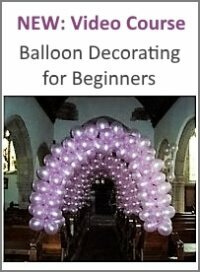 Our readers ask where we offer our balloon decorating service as they might not have the time or patience to do the decorations themselves. Especially if it's for their own wedding! As we were based in Ireland, we'll start our listings with a local company. 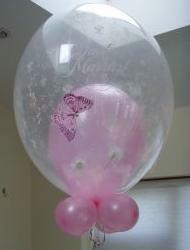 Raquel from Funky Balloons runs a small family business. You will be delighted with her friendly, creative and reliable service. 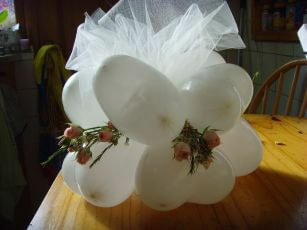 Below you'll find a selection of her decors for weddings, christenings and themed parties. Or just send her an email. 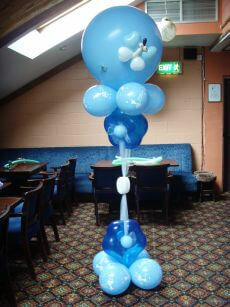 You are a balloon professional operating in the UK or Ireland? Then please submit your details, including your company logo or a photo of your work here. 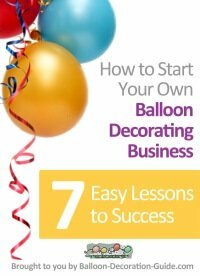 We'll build a page exclusively for your balloon decoration business. You can add more services or let your clients post testimonials at the 'Visitor Comments' on the page at any time. List your UK or Ireland based business for free. Simply fill in the form below. Do you have a company logo or picture of your work to add? Great! Click the button and find it on your computer. Then select it. www.smartdecos.com. 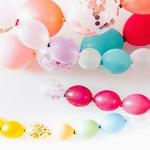 Let us turn your venue from drab to fab. We pride ourselves on our attention to detail and excellent customer service. 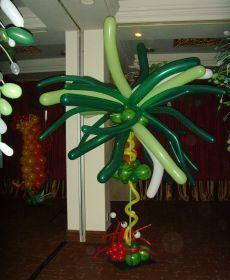 Carly phone: 626.543.3166 email: carlysballoondecor@hotmail.com Balloon arches, balloon columns, balloon bouquets, center piece balloons.